Subscribe to the TalkingHeadz Podcast on your favorite podcast player directory. Hear other episodes here. And in this episode of talking heads will talk to Alan the paucity of Salesforce. Hello Evan, have you recovered from enterprise Connect? Actually not know I’m still hung over and sleeping 12 hours a day, but I’m getting there you can hear my voice I still I’m still not recovered you you were that you were the most tired I’ve ever seen you. I mean, you were literally a zombie from walking dead. I was gonna put a spike in your brain just to just to end the suffering. You’re not you’re not exaggerating. I got on the flight out of Orlando. I don’t remember taking off I don’t know them serving drinks. I didn’t see nothing. I slept the whole flight. And then I got home on on Thursday night. I slept 12 hours Thursday night and I slept 12 hours Friday night. So it was a it was an exhausting event for me. Are we getting too old for this? No, we just have to change our approach. I think as we get older, we just have to start booking, you know, 15 minute meetings every hour. I think that might be the the way to do it. I’m thinking technology is going to play a role like maybe there’s an exoskeleton I can sort of were around you wouldn’t be on this lovely the conference circuit exoskeleton you know that like an alien, you know, and Sigourney Weaver had that robot around her body and she was sort of walking around you know. All this time we keep on talking about how to skip meetings and use more video, but you’re right, maybe the answer is just to go to the meetings with with with bionics mentioned walking into a meeting with a giant exoskeleton on a tad intimidating, but but really relaxing your kind of your kind of comforting and I’m thinking two to three years and this is going to be a reality. All right, well, we got a great interview today we’re going to talk to Alan Lepofsky as most people at least that I know know as a industry analyst, but he’s no longer an industry analyst. He, he, he traded in his analysis for for some marketing spiel. Yeah, well you know you sit big time with Salesforce a company that’s rocketing to, to outer space so good for him. Well, that’s that let’s get to the interview. We’ve got Alan Lepofsky, who’s currently Vice President of Evangelism for Business Productivity at Salesforce. Hello, Alan. Hi, everybody, how you guys doing today? Great. It’s great to have you on here. You know, we’ve known each other for quite some time we’ve overlapped and, and a number of conferences and our coverage areas. I was quite surprised to see that you had gone from the analyst side to the dark evil of vendor side. And particularly a CRM vendor CRM doesn’t know anything about about collaboration and so, so tell us what you’re doing that at Salesforce. Well, thank you very much, first of all for having me and for that introduction and exactly, you know what you were saying we’ve known each other in the collab space for a long time. And so, you know, I’ve been covering things about how to employees get their job done that, you know, nice generic term. And I look at what Google is doing and Facebook’s doing and Microsoft’s doing and everybody and you know, as you mentioned, like what you know, why Salesforce. And so a couple years ago, Salesforce do this acquisition of quick for those of us in the industry that knows the 750 million dollar acquisition back two or three years ago, and it sort of got my attention at the time, I had been following quip, you know, what are they What’s this online editor doing? But with the admin Salesforce acquire them, it really perked up my ears and I said, Okay, what’s going on here, we started to have some conversations. And what I love is that Salesforce has known for systems of record back end data for CRM for support for sales, but they realize that the next level of that is being able to not just have discussions around that data. It’s a lot more than just a chat on the side. I wish I had talked to you before I did my contract negotiation that would have been awesome. Now I do for those that don’t know me I do live in Toronto and do travel to San Francisco often so Evan I I like I like the sound of that especially in the wintertime off the off to have a conversation with the executive about that. Your role as an evangelist, compared to your role as an analyst will have more travel or less travel? Ah, let’s see, you and my wife want the answer to that question. The way I look at it as I think the number of events may be somewhat equal, hopefully less, but it will be the duration of those will be last. So as opposed to going to a conference for four days, even if I do have to take I may be in New York for a day or two type of thing. So the short answer is I will travel last I hope. So Alan, back to Quip I spent a decade using Salesforce with a couple of firms and, and to be honest, as typical sales rep. It was a grind. I always felt the real work was being done elsewhere. And the hard graft of updating my pipeline and updating the CRM was was something I never look forward to do. Meanwhile, I was out meeting customers and doing PowerPoint having conference calls and you know, email and that was where the real work was happening. So This Quip designed to address that and really turn Salesforce into a kind of a power tool for sales reps or what’s going on with with Quip. We’re going to use some, you know, project management tools, we’re going to use PowerPoint. What if all of that actual work could take place right in the context of the record for that customer, and that foot quip is doing. So say you’re looking at an account planning record or an account record for, you know, Acme Corp, and they’ve just gone from pipeline, you know, it’s crossed over to a million dollars pipeline, the workflow engine has said, Alan, this needs your attention now. Well, on that page, we can now have a template that says, Here are all the steps you need to have to close this deal here. All the people involved in it, let’s embed all of the discussions, all of the maps, all of the profile links to the people that are involved, everything, all of that unstructured data, which slides are they looking forward to be presented? All of that lives right on the record now, you don’t switch between multiple tools, you don’t have to go find things. Two months later, everything is still there. It is. It is changing the way teams work together around all of these use cases. I find quick, really confusing. I find Quip really confusing. And I guess I’m not the only ones I saw your explanation on Twitter is quip a word processor or not? And I think the short answer was no, it’s not. But what if what if I confusing about it is that the way you describe it is you have data in there, and you make a decision based on this data, we’re making a decision. And then you turn your back for a minute to go implement that decision. And somebody changes the data not equipped. But in some source of you know, the original source of the data, changes the data. And now people like wondering, why are you Why are you implementing this plan? Clearly, this data says something else. There’s no history, I don’t understand how you don’t get in trouble. Oh, there’s absolutely history about it. That’s a great question. So live data is a can be tracked for version control of older documents. But be there’s a human element that’s missing in there that yes, this could be skipped, but in an ideal situation when you learn to work in this more dynamic way, somebody would be making a comment on why they are doing this. Alan, I noticed the shipment has changed from 100 to 200, let’s make sure that the customer understands this. That is the beauty of the conversation happens, right on the data, as opposed to let me go to one system and change it and then maybe go over to a Skype conversation and let you know about it. Or ping you Hey, Dave, make sure you know, tell me that the date has been updated in email, and it gets buried behind it, you know, now what you make a change, you annotate that change directly on the page itself. And everything is right there. It’s all in context. There’s all a history of it. And you know,hopefully it leads to more successful business outcomes. Does that make a bit more centered you want me to like take a step back and even for your listeners. Before we get into the sales use case we talked about, like what Quip itself is? Please please do it’s very confusing as well. It’s not like anything else is the problem and you can fail. You know, Google Docs is a lot like a word processors. Oh, I get it. Now I know what I mean. But it wasn’t like anything else. You can, you can have the outline created automatically for you. So the section, the bullet points, things like that, but then you and the team can go in there and take meeting minutes actual like a word processor, you’re typing, you actually do type onto a quick canvas. But where it gets really interesting is you don’t just put text and you don’t just put images and video. So images and video are better than tax. That’s great. We’re now more modern, we can embed more things. You don’t embed videos, images, while images, you can put on an email, but you can’t embed a video email. Now you’re not only embedding content on these pages, you can embed almost anything different companies use different technology. Companies call them widgets, companies, called the board old, equipped, they’re called Live apps. And alive app is everything from a look into your box or Dropbox file sharing. So you can embed like a widget where you can see those things. A smart sheet, full resource planning forum, a Google map, a YouTube video, a live record from Salesforce, you know, all of these elements start to be put together assembled onto one page. So now all of a sudden, you know, you don’t embed live content into a Word document, right? You it’s word processing. It’s get it you know, it’s it’s easy. Do it you grammar check it and you’re done. This is a living Canvas a living document a dynamic document that people now you can lock it down. If you’re worried about saying Hey, you, you don’t want changes on this, you lock it You say you know the nobody else can edit this page. where it gets really interesting is people are familiar with like a blog post, they can go and add comments at the bottom of the page. On quip, you don’t do that you can have comments that are related to the entire page if you want. So over on the side I can I can type a comment like a Google Doc or Microsoft Doc, some commenting on the side. But you can annotate any section, any word any object and a picture. You know, if I embed a picture onto a quick page, you can click on my face on that picture and say, Alan, you know, you should be wearing sunglasses. You can you can annotate anything on a page and that’s why I believe the value of content plus conversations all together is game changing. It’s really a new way to work. I think Dave Michaels is just upset because I modified his Wikipedia page. Does Quip replace any tool set that you’re currently using or is it just another tool? You got to start another inbox to go check? Fantastic question. So many of you have heard me refer to what I call yet another tool syndrome, the yats, people that golf know about the UPS people that do collaboration know about the yats yet another tool syndrome. We absolutely want to replace the things that you’re doing. for specific use cases. I’m not ever going to tell a client any of that marketing stuff that other say like oh, you will completely eliminate email you will completely eliminate word processing. I will tell you that for the for very specific, excellent collaborative uses. You can do everything you need to equip. I since joining Salesforce, I’m not giving you a marketing talk, you know. We’re friends you know, as an analyst, I try to be unbiased now eternally going to be honest, I have not sent an email. to equip employee I’m not going to say I haven’t set one to Salesforce employee. I’m not going to say I haven’t sent one to an analyst, or anyone outside or a customer. But the quipped division lives and dies by quick. So you know, I don’t send an email if I need to ask a question. If I need to share information, I create a page, I embed all of my meeting notes, everything I’ve done for conferences that are coming up. Last week, we launched quick for Salesforce a brand new product, all of the all of the planning for that wasn’t done in a separate project management tool. It was done in Quip, all of the graphics were created and shared on pages so that sales reps and account planning people know where to get that information. So we absolutely I don’t want to say we can replace a tool. I’m going to tell you we replaced processes, we improve the way that teams work on different things. And it’s a cultural shift. And I think it’s one that once you become comfortable with, um, again, a few weeks into it, I couldn’t imagine hitting the To field and sending it to someone inside the Quip division like they, they would never see it. How tightly os Quip integrated with Salesforce remember. In other words, if I don’t use Salesforce, can I still use Quip? Absolutely. So until the launch last Tuesday of quip for Salesforce, which is that tightly, tightly integrated that you’re asking about, until then, you know, that isn’t the reason customers were using to get so last year on stage, you know, a dream for us. You have customers like 21st Century Fox and Amgen and Citibank, talking about how they were using quip to you know, fully automate workflows and everything from you know, production cycles of, of, you know, movies that were coming out with embedded videos of discussions about them to territory planning and reducing meeting so Absolutely can be used as its own object. quip can absolutely be used with additional value from Salesforce records It all depends on those customers needs to new invite them external participant into a Quip document. Five seconds click the Share button, enter the enter their email address secure, stored, we have a little flag on the top of the page that tells you if there’s anyone outside of your domain with a different You’re like a different email address having access to that document, you will know immediately full accountability traceability for your admin department for compliance, all of that. what’s what’s collaboration without external these days, right? Is there a category of products like this is would you would this is the same category as say smart sheet or something like that or? Well, so when I was on the outside discussing this as an analyst, I refer to these as digital canvases. And from a standalone point of just you know, that modern day word processor, plus collaboration plus project management, all of those things. There are other vendors out there that are doing similar things. There’s companies like Kota notion, Dion, you know, there’s a few vendors that are doing it. The differences, and the value prop that we now have is that additional part of being Salesforce. You know, when I tell you it can be used standalone, it absolutely can be. But when I tell you that the combination with Salesforce data is something that other vendors can’t do, there’s a huge amount of value. And that’s not just Salesforce records. That’s additional things like the marketing muscle of being part of Salesforce, so attending dream force or a world tour, and quit being at that. But those other vendors in the space, they don’t have anything equivalent to that, or trailhead for training and certification. 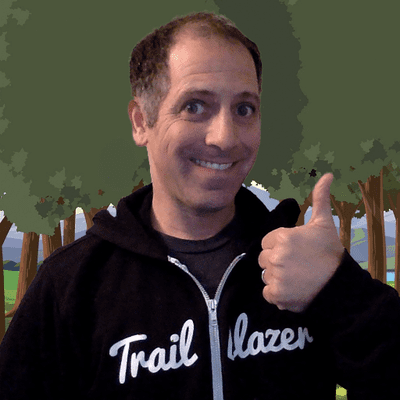 So when I looked at where I wanted to go with what I wanted to do, and you know who was really building what I was looking at, I am I’m extremely impressed with everything that the entire Salesforce platform brings, and how quick plays a part in that. So Alan on the on the contact center side, there’s a lot of excitement around the contact center integration opportunity with Salesforce and you see all these these integrations with Salesforce. Does this Quip play a role here from the agent desktop perspective or other perspectives? If you think about a Salesforce integration, then contacts Center. Absolutely so last Tuesday, in addition to launching quit for sales, we launched quit for service. And what that does is allows that deep integration with Salesforce is Service Cloud. So you can do things like case swarming around helping, you know, resolve a customer issue, you can do you know any of those, like post mortem determinations around how a problem occurred and how you can solve it and create a knowledge base for that. So we are doing and creating templates for that direct integration with Salesforce is Service Cloud. Well, that that’s, that sounds like a killer app. I wish you’d introduce it to Comcast so they can swarm around my service request. But yeah, that sounds even more interesting than collaboration. From my perspective. Well, let’s see, let’s use the power of your Twitter account and start telling Comcast to give me a call. Again, please believe me that this is me talking to friends not not a marketing shield saying something for my current job. Benny Marc Benioff, Brett Taylor, the entire executive team and Salesforce are massive believers in what we’re doing, which is what led to the acquisition. So when quick was founded by Kevin Gibbs and Brett Taylor, the acquisition came along. This is all public knowledge. I’m not disclosing anything, you know, 700 some odd million dollars later Quip is now a division of Salesforce. Brett Taylor one of the founders of Quip is elevated to chief product officer of all of salesforce not of cloud but now someone with collaboration in their dna is helping set the product roadmap for everything you know along with Parker Harris one of you know the co founder of salesforce of what the company is doing so our Parker Harris and Marc Benioff believers and what quip is doing absolutely internally i can tell you you know and i’ve always you know i’ve only been here six months or six weeks so i’m learning how much is different in 2019 that it wasn’t 2018 internally massive processes are changing inside salesforce to specifically use quip things like nothing to do with our division the division but the core sales service marketing ecommerce they are all doing their account planning now on quip documents with quick templates for account planning our internal commitment to the company every company has a different you know process they do or do HR, you know, you certify what you’re going to do for the year, that whole process has moved to Quip documents. I’m still not falling in here on this collaboration point. Because all let’s make sure I get it because I understand you’re, you’re sharing content, and I understand you’re getting everybody on the same page in the same document. Here’s a bunch of data. here’s, here’s a bunch of documents, whatever. Like you said, meeting minutes, could be spreadsheet data, whatever. But if I challenge, you know, if I want to discuss somebody discuss with somebody over this data, we’re gonna I’m thinking of a Slack conversation that goes on for screens and screens and screens, you know, five or six different people chiming in there. Well, they didn’t consider that as we look at this way, the way to slice it that way. And to me, that’s, that’s a that’s a separate tool. That’s a conversation thread. If we want to have a video discussion that’s not that doesn’t have it doesn’t have video, or it doesn’t replace video doesn’t mean it’s not like a zoom or WebEx or Slack, right. It’s a different tool? Two very different questions there. Is it like a slack? Absolutely. So that side that five or six page long, horrible thread that you’re discussing have six different people having a conversation, you would now have that conversation. We have, you know, a chat, you know, client like conversations that take place. But instead of taking place in some random stream with no data or no link to anything that stream that conversation, what’s happening with Acme Corp? How do we solve Comcast problem, whatever it is a case study, that threaded convert that that conversation would take place right on the document. slack has no business applications. There’s no native business application. You can’t have a conversation around a support ticket or a CRM record in some ridiculously long, you know, stream of consciousness that’s taking place. The second half of your equation Absolutely. We do not currently have Unified Communication capabilities like a zoom WebEx, that’s where we look for partnering opportunities. So do we have discussions? Yes. Do we have native built in video capabilities today? Yeah. All right. Let’s change gears here for a little bit. You’re at you’re at one of, you know, tech’s largest, most influential companies right now and Salesforce, any significant changes in 20 years from IBM to Salesforce, coming back into this big tech company. Are people more collaborative than they were 20 years ago? Yeah. You know, so two answers to that we always come back to you know, technic technology, verse culture. So I think from a technology standpoint, the biggest change for my Lotus IBM days to today is that the software is not, you know, the software is in the cloud. Now, SAS based software versus on premises software. For the most part, there’s obviously arguments in either direction. But what that has enabled is vendors Microsoft, Google, Facebook, or Salesforce, or slack or whoever to deploy features a lot faster, much to the delight of some customers and chagrin of some others. You know, they don’t have that old style. Let me do deployment testing for a year. But what it has allowed is new technologies and new features to roll out faster, which lend to people adopting the more, you know, we used to use the analogy, raise your hand, if you’re on the most current version of Microsoft Office, and you know, 20%, maybe 50% of that room is in the hands of the room would go up. Then you ask, okay, who’s on an old version of Gmail? You get zero. There’s no such thing. Same thing in the Salesforce quip environment. Same thing in slack environment and some others, we are able to ensure that people have the most recent version of this, which allows new features to come out faster, which in an ideal world drives adoption. So that’s the technology half of my answer to your question of what has changed. Why can we we’re not stuck on a four year old version, that hey we can fix things there is also a change in culture over you know things are very different than they were 20 years ago when we tried to tell people hey you should share this knowledge or you should openly put this information out there i do not believe that i am not going to go down the route of talking about millennials versus gen x gen y it’s not the age that has changed it’s the overall culture without offending anybody i think the three of us on this call none of us are at our 20s or 30s anymore but we are completely collaborative so it is unfair to say its own you know why has collaboration changed oh because millennials collaborate know 30-40-50-60 year olds are still going to collaborate we culturally have changed we are used to sharing information more now and that is such an advantage to 20 years ago when i was trying to give you know sales pitches to little lotus notes people would be like what is that why would i ever post something you know be the database of people understand what hosting is now it’s a huge cultural change. And you made the comment there about about Lotus Notes. I mean, that really was kind of a game changer that nobody really understood. I guess there’s a lot of commonality between notes and Quip. I mean, it was a, if notes had kept its inertia going. Possibly This is where they would have ended up. Right? How was how was modern corporate America in in collaboration as a whole Do you think? Great sort of setup to the bigger picture conversation? As he said, I started and collaborate in 1994? I’m not embarrassed to say. So if we’ve had these tools for a long time, why is it? Why is it not permeated the industry? Why is every employee not maximized on productivity and collaboration? You know, why hasn’t this stuff worked? And I think there’s a few honest answers like I don’t think we have to, like come up with some, you know, analyst, you know, marketing reason, there is reality behind why it hasn’t taken place over the years. And one of the big issues was accessibility. So how did you get access to all of these tools? The cloud has certainly helped with that mobile devices have certainly help with that. User Interfaces have certainly changed. But still, people haven’t adopted. Insert whichever tool you want. There is no tool that has hundred percent dominate. I always say the only 2% that every company uses our HR payroll, and email, you know, those of you, those of you like two systems that everybody uses, everything else is some percentage of adoption. So what else has changed? Why are we adopting these tools now more? I think we’ve learned a lesson from trying to make tools be Swiss Army knives to do everything, and focus more on specific business use cases. And I think that is helping with adoption. I think we saw you know, companies that made communities and forums suffer from saying, Hey, we have this great, you know, Facebook for work like generic tool that you can use. Because while that was powerful, and allowing people to do things, it didn’t give them purpose. And so I for years have talked about this idea of purposeful collaboration, having a business outcome in mind, closing a deal, closing a case, launching a product, doing a marketing campaign, selling a tool, whatever it happens to be. So I think we’re shifting our focus more now, to be more niche centric. We’re even seeing this happen in the generic. Let’s not even talk to my business world, the generic social networking world. We’ve gone from Facebook and Twitter and Google Plus, which failed to networks dedicated to film and photography, or sports or education. You know, with my children. We have a very specific social network that the school uses. We have a different social networking tool on my phone for sports league signups. None of them are using Facebook as their generic platform to share. So we’re seeing the rise of niche networking. I think we’re going to see that at work too. I think we’re seeing tools, collaboration tools that are realizing you have to define a purpose for people to use them. So I’d say that purpose and I apologize, I’ll pause and one second, let me say the third rise that I see happening is intelligence. I believe do believe we are starting to see software be written. That doesn’t just do what we tell it to when we click a button and it responds to us. I think we’re seeing the rise of software that’s starting to automate processes, automate responses, recommend content, all of these more intelligent systems, I think are the key to the next decade of of making sure we do adopt these tools more. What about social media integration? I’m a big social media fanatic. are the tools there to integrate with, with social, whether it’s perhaps a LinkedIn, Twitter, you know, other more nice platforms? Yeah, so we have things like Twitter integration, where so for example, internally, we monitor for anytime someone mentions the equip Twitter handle, and then internally, if we have to discuss what the response is going to be before someone publishes response, we can or we can just highlight it and say, you know, kudos to people and share it on Twitter. page so, you know, happy to follow up with you about you know, again, we call our integrations live apps. What you can put on a page what you can connect you we connect to slack. You know I if you go to quit com, how do I say this is going to be one of those tongue twisters quip.com backslash Slack, you’ll be able to see the integration that we have with. So we absolutely do do that type of integration. Alan you’re somebody who’s always understood social I’ve always respected, admired way. You’ve used so many different tools on social. Evan and I often talk about how so much of the communications and collaboration industry leadership just doesn’t get Twitter. You have any theories on on that and if that’s sustainable, that’s going to change. I think that’s the new way of introduction is through digital and social. I’m speaking of which Microsoft CEO is a pretty social animal. And, you know, probably one of the, you know, the greatest hopes moving forward. He’s he seems to be doing a great job. What has been Microsoft’s response if any, to quip? I mean, do they have a similar product? Or do they have ambitions to get into this this new space or what do you think? Yeah, you know, the Microsoft portfolio obviously starts and ends with Office 365. You know, that they’re, they’ve done a good job over the years that used to be there was a lot of names, a lot of moving pieces and everything is under the office. 365 umbrella now, when you start on package that there are still lots of components, obviously Microsoft Teams is their collaboration, sort of, aggregator of everything together. It’s got cat streams, they’ve moved Skype into there. They’ve got SharePoint, which is, you know, their internets. And they’re, they’re extra nets. They have one note, which is, from a UI standpoint, probably the most similar thing they would have to what we’re doing with quip, it’s not going to be Microsoft Word. It’s not going to be Microsoft Teams. But what they’re not doing, they haven’t put the pieces together. They don’t have an image yet of dramatically changing the way people work with has to be fair with has the luxury of starting clean. There wasn’t an old version of web that’s moved to a new version of web. It’s very difficult for Microsoft to evolve office into something new. They improve It they’ve moved it to the web. They’ve added co authoring the word, his word, His Word, PowerPoint, PowerPoint, PowerPoint, you know, they haven’t changed that much. They tried with sway. How many people have you ever worked with sway on, they tried with gig jam, haven’t really done a lot there. That was that was there, they call that a canvas product. That’s, that’s right up your alley. I was a huge fan of what they were trying to build with gig jam I for non disclosure, you know, work with them on it. It was a very interesting product. They are they they have a very strong portfolio. They have a huge user base, they have a great partner ecosystem. That is their strength. And that is their weakness. But you’re stuck between a rock and a hard spot because of your really successful as an evangelist and then they will have to respond. i would i would love you and I’d have a discussion at 2019 about how scared Microsoft is of that would be wonderful. Oh, more like 2022 call. Let’s set a date. Let’s find it you know that that would be great. In all reality they are not doing Let’s be more practical they are not doing with dynamics and anything in their portfolio. All the teams call it one no call it whatever, they are a Yammer planner. They have so many tools, they are not building in their portfolio. What Salesforce is building with ours. Well, we always ask our guests on Talkingheadz about one of their next big upcoming things that they’re going to spend money on. I know I think you’ve got two kids right? I met one of them but I think you have to or Yeah, okay two kids. So young man in Canada, you’re probably gonna buy what a sled or something? what’s what’s your next what’s your next big purchase going to be? Great are these are armed or unarmed? Dave? Yeah, they have the police ones which are unarmed, but they have the heat tracking so they can chase people. Oh, wow. Great. Very cool. With that I think we’ve covered quite a bit here. Thank you so much for joining us. And I wish you the best of luck as an evangelist at Salesforce has to be the pretty exciting transition for you. Even though it’s the same old collaboration, cannabis technology you’ve been droning about for years, but but but it should be an exciting change nonetheless. And really excited for you. Very good. Well, my pleasure. And thank you very much for having me. And I hope we can maybe do a shorter will do a segment and follow up at some live event that I will see the two of you at in the next few months. Sounds great. What would you think of that interview, Evan? Hey How dare you denigrate marketing talk I’m expecting to free Dreamforce passes from this interview so don’t don’t you better start you better start doing marketing talk I mean this is what you get what you get paid the big bucks for not this analyst crap. Alright, well thanks for listening to this podcast and we’ll be back soon with yet another interesting guest.